We glad to inform you that Nongsa Cup 2011 is coming soon. 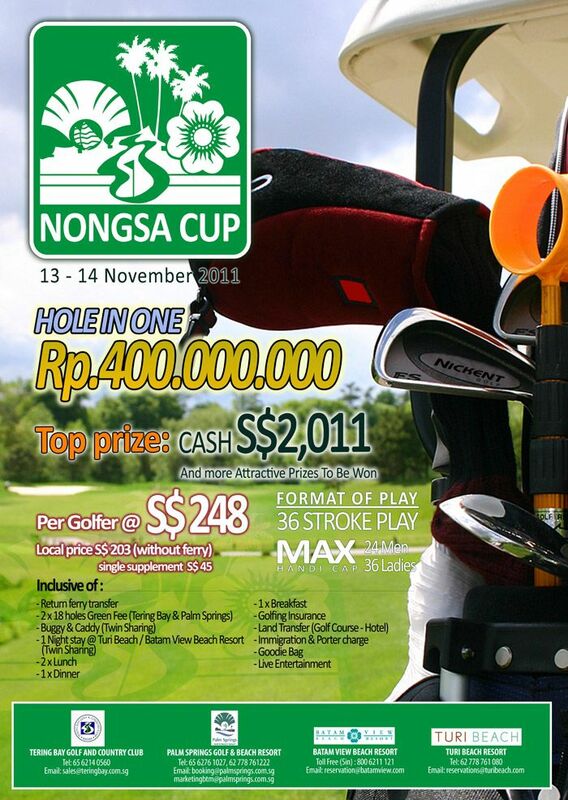 This event is the sixth successive year, we take great pleasure to announce the date for the much anticipated “NONGSA CUP GOLF TOURNAMENT 2011” which has been confirmed on 13th to 14th November 2011 (Sunday & Monday) in Nongsa, Batam island. This is a joint event initiated by, namely Tering Bay Golf Country Club, Palm Springs Golf Beach Resort, Turi Beach, and Batam View Beach Resort a proud tradition of the four properties in Nongsa .